I am a super lucky lady, and tonight, with one hand painted “Princesses Rule!” pink, and the other “Black and Blue”, with a splash of “The other sky”, slopped on, I feel pretty lucky. My would-be-doctor hubby is sporting similarly painted toes, which my daughter told him that if he held very, very still, then he would be turned magically into a princess… I looked at him, expecting him to wriggle and writhe to show he didn’t want to be a princess, but he held very, very still, because my man? He’d be a princess any day for our little girl. 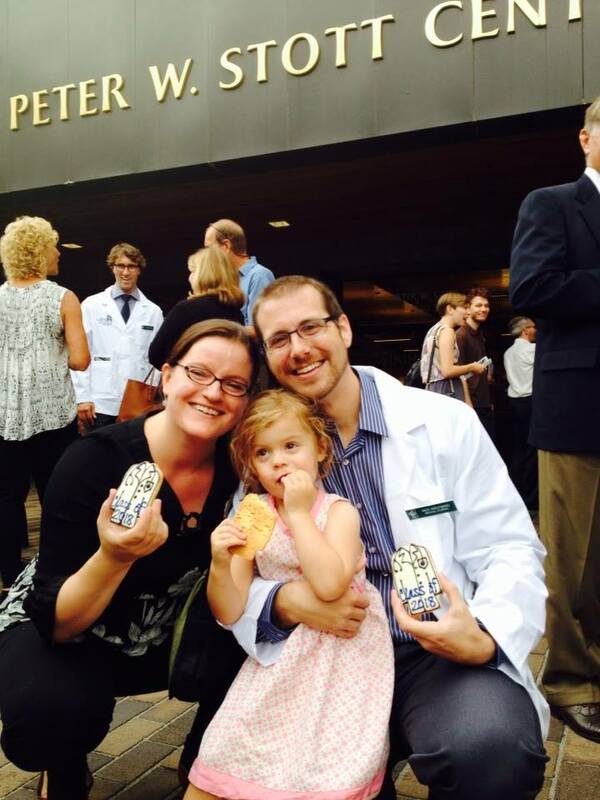 White Coat Ceremony – couldn’t be more proud!